Kicking off the annual "Google I/O" developer conference at its Mountain View campus in California on Tuesday, Pichai said we're at an important inflection point in computing, and it's exciting to be driving technology forward. 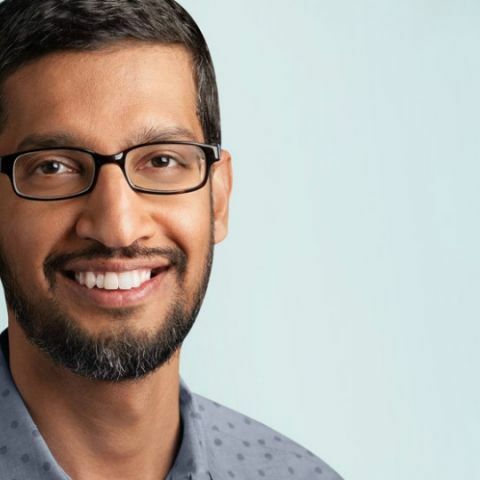 Amid a global call to regulate digital platforms and safeguard users' data privacy, Google CEO Sundar Pichai has reiterated that the tech companies have a "deep responsibility to get things right". Kicking off the annual "Google I/O" developer conference at its Mountain View campus in California on Tuesday, Pichai said we're at an important inflection point in computing, and it's exciting to be driving technology forward. "But it's clear that we cannot just be wide-eyed about what we create. There are very real and important questions being raised about the impact of technology and the role it will play in our lives," Pichai told the gathering of over 7,000 developers. "We know the path ahead needs to be navigated carefully and deliberately -- and we feel a deep sense of responsibility to get this right," Pichai added. Pichai's call came after Microsoft CEO Satya Nadella on Monday stressed that the company is determined to ensure users' data privacy and is building secure solutions towards preserving data privacy. "We have the responsibility to ensure that the new-age technology is empowering everyone, creating equitable growth for all while creating employment on the global scale," Nadella said at the annual Microsoft "Build 2018" developers' conference. Echoing Nadella, the Google CEO said that "the need for useful and accessible information is as urgent today as it was when Google was founded nearly two decades ago". "What's changed is our ability to organise information and solve complex, real-world problems thanks to advances in Artificial Intelligence (AI)," he added. Betting big on AI, Pichai said there's a huge opportunity for this technology to transform many fields. "Already we're seeing some encouraging applications in healthcare. We've also found that our AI models are able to predict medical events, such as hospital readmissions and length of stays, by analyzing the pieces of information embedded in de-identified health records," he said. "Another area where AI can solve important problems is accessibility," he added. During an earnings call in April, Pichai said that Google was ready for the European Union's General Data Protection Regulation (GDPR) to harmonise data privacy laws that would come into effect on May 25. After four years of debate, the GDPR was finally approved by the EU Parliament on April 14, 2016. Organisations that fail to comply with the new regulation may face hefty fines. In a blog, Google said it was informing advertisers and publisher partners about changes to its ad policies. "Google already requires publishers and advertisers using our advertising services to get consent from end users to use our services, as required under existing EU law. However, the GDPR will further refine these requirements," the post added. "To comply, we will be updating our EU consent policy when the GDPR takes effect and the revised policy will require that publishers take extra steps in obtaining consent from their users," it added. why movie getting struck in laptop?